FABQs: How Else Can I Help Honey Bees? There are several wonderful ways to be a friend to honey bees (and all native pollinators!) that don't involve keeping beehives. Feed them. Plant native or non-invasive species of flowering plants that will bloom year round and be sure to avoid using harsh chemicals and pesticides in your yard. When purchasing seeds and starts, check with your garden supply store to ensure they are not selling plants treated with insecticides (especially neonicotinoids), as these are incredibly harmful to the bees. Gift seeds to friends and neighbors, and get them planting, too! Provide habitats for native bees. They’re incredibly gentle and don’t require any upkeep, so it can be an excellent option for people who can’t commit to honeybee hives. Mason bees and Leafcutter bees are tunnel nesters and actually pollinate more effectively than honey bees, which makes them an excellent addition to a garden. Volunteer! Find out if there is anyone in your area working to increase pollinator awareness. Here in Oregon, we have the Xerces Society, Beyond Toxics, and Portland Urban Beekeepers. These guys do everything from public education to lobbying lawmakers to change harmful policies, and donating even just a few hours of your time can make a big difference to amazing groups like these. Educating yourself and spreading awareness will go a long way toward creating positive change for our pollinators. Vote with your dollar. Be aware of where your food is coming from. 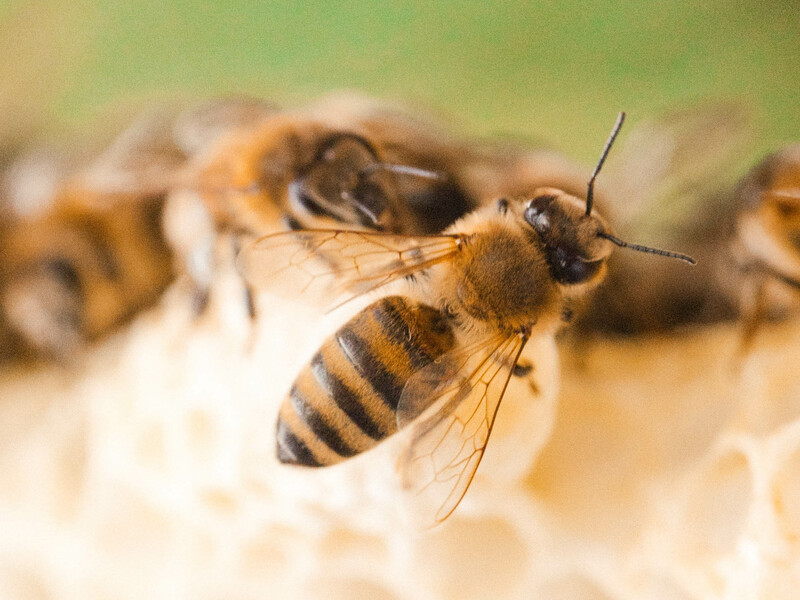 Buy honey from local, small-operation beekeepers and purchase organic produce. Our broken agricultural system, full of pesticides and monocrops, is one of the primary drivers of honey bee decline. Pulling our support from these harmful practices is necessary to spur change. Go forth and be bee heroes!